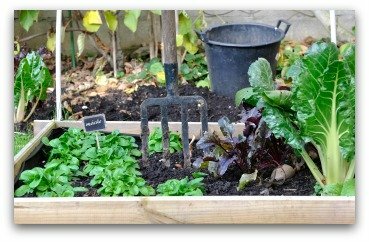 Use our free vegetable garden designs, plans and ideas for planting a great beginner home vegetable garden! 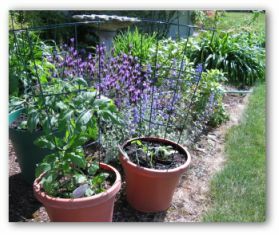 Included are very easy plans for designing a small vegetable garden in your backyard, or on a porch, balcony or patio. There are garden designs available to suit every gardening need. When planning your first vegetable garden, one of the first steps is choosing a sunny location near a source of water for planting your garden. Once you know where your garden will be located, determine how much space you have available. If you have a large sunny backyard, you can plant a traditional in-ground vegetable row-garden design. 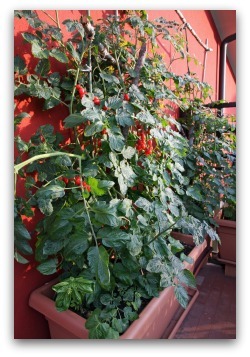 For smaller spaces, consider planting a raised-bed, container, vertical or square-foot vegetable garden. These gardens work well in a small yard, patio, deck or porch. If all else fails, you have the option of planting an indoor vegetable garden in a sunny location on your windowsills, enclosed porch or counter top. 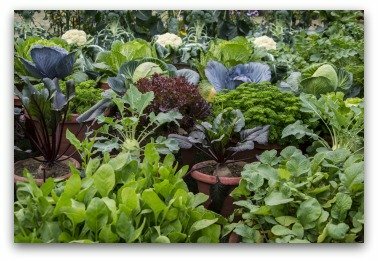 There are several techniques available for indoor vegetable gardening that will help make your garden a success. Even for people who have never grown or tended a plant before; there are garden designs that make gardening a breeze. 2. Plant quick-growing plants in open spaces beside slower-growing plants. This creates a rhythm that will make the best use of your garden space. Harmony brings the vegetable garden designs together. Placing compatible vegetables in groups that have similar maintenance requirements and harvest times saves steps in the garden. By charting a succession of plantings on paper, it helps to make the long-term harvest goal easier to reach. The start date in your vegetable garden will vary depending on the climate zone where you live. For a small space gardener, inter-cropping could be a solution for planting quick maturing crops between slow growers. Gardening offers many varieties of vegetable garden designs including the practicality of raised beds or the eye-pleasing symmetry of vegetables in a row. Plant lettuce transplants in the shade of bush or pole snap beans. Scatter turnip seed between cabbages. Tuck in green onion sets most anywhere. Thin lettuce, then transplant for a later crop. Grow radishes along with nearly any other vegetable. An area 4’ x 20’ leaves room for a raised bed garden that will grow enough produce for 2 people. The width of your gardening area should be no more that four feet as you need to be able to reach the center of the garden from either side. Allow an extra foot or two for the borders of your garden, depending on what type of material you will be using. Most raised bed gardens are 8 to 15 inches deep, to allow room for the plant roots to grow. Hint: The deeper your raised-bed garden, the more convenient it will be for sitting when you are planting, tending, weeding, and harvesting your garden! Make the frame for your garden out of wood, (2 x 4's or 2 x 6's work well), brick, stone, or cement blocks. If you use wood, avoid railroad ties or pressure-treated wood as the chemicals in the wood can leach into your garden soil and plants. We used decorative cement blocks from our local home building store, and they were very easy to install. Also, short lengths of logs or poles can be driven in the ground to make an attractive boundary for a raised bed garden. 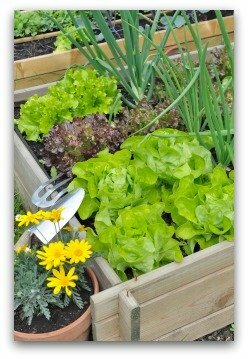 Raised bed gardens reduce cracking and decay problems in your vegetables caused by excess water in the fall if you live in a rainy area. Another plus for raised beds is that the soil warms up faster in the spring. This allows you to start vegetables such as carrots earlier than in a traditional in-ground site. The "No Space for a Garden" Solutions! Vegetable garden designs do not necessarily have to include an in-ground site. Plan your balcony, deck, or patio gardens in all shapes and sizes of boxes, tubs, baskets, pots, and planters in a container garden. Adding shelves or hanging pots can add extra space to your container garden. 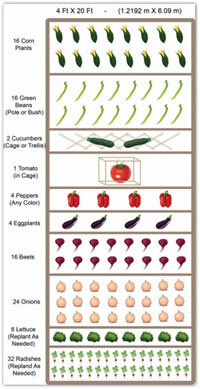 One design for a satisfying supply of fresh vegetables from containers is use a 24 x 30 inch box 6 or 12 inches deep. Carrots, green onions, mustard, beets, chives, leaf lettuce, radishes, and turnips can be spaced in closely planted groupings together. To get a continuous harvest from this garden size, keep potted plants on stand nearby, ready to transplant after each crop has been harvested. The best way of planning when you have a space of this size to work with, is to visualize a series of planter boxes. Square Foot gardens are a great idea for those with very limited space. A "square foot" garden is four feet by four feet by 6 or 12 inches deep. Build the outside frame with boards. Mark the big square into 16 one-foot sections, using string or small strips of wood as dividers. 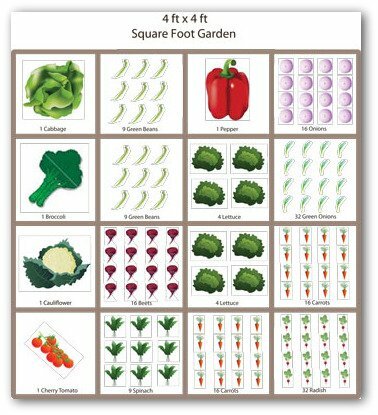 Plant a different type of vegetable in each of the sixteen squares, following the spacing directions that come on the seed packets that you have chosen. In you have adequate gardening space in your yard or community garden, you can easily plant large sprawling vegetables such as vines of winter squash and melons. Growing corn also requires a large plot of ground, but is well worth the effort! The most fruitful vegetable garden designs include succession planting, so there is always a vegetable being planted to take the place of one being harvested. There is rhythm in nature and a successful gardener learns to plant in tune. So you can see that there are many great options when planning vegetable garden designs. 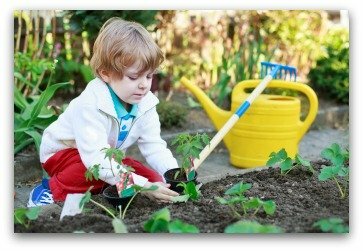 Gardening is a great hobby that the entire family can enjoy together. Even the smallest garden can provide an abundance of fresh crispy vegetables for your family to enjoy! If you are a beginner at gardening, start with a small simple garden design until you gain some experience and confidence. Before you know it, you will notice that your thumb is turning green!